The start of a new month can mean many things for some of us. For me, the feeling is like the start of a new year. I like to evaluate what I´ve accomplished and what I need to work on. Before writing out my daily to-do´s all over the place like a crazy woman, I like to do a session of pre-planning. 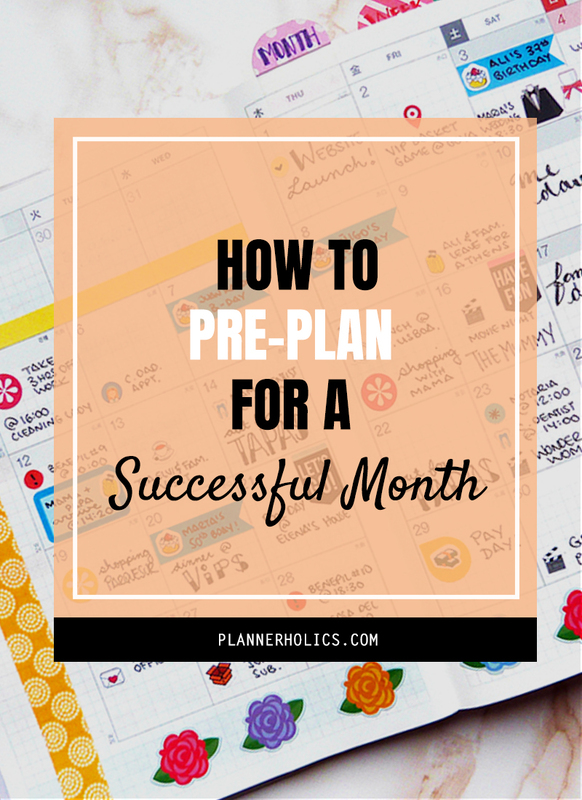 Which leads us to the question of what exactly is pre-planning and how can it help us create a successful month? Pre-planning is obtaining the information you need to anticipate and prepare for the future, before solidifying the actual action or scheme of doing something. It is setting up all your upcoming events and scheduling your tasks around them. There is a short but sweet process I like to go about at the beginning of each month and I thought that perhaps it could be interesting or helpful to some of you. It is true that sometimes things don´t go as planned but if you dedicate a few minutes to work around your ideas you can create a general outlook of everything to best accomplish your goals. You will be focused exactly on what you have to do because you´ll have everything mapped out and ready to go. Consequently you won´t waste un-necessary time trying to schedule appointments and remembering important dates. Reaching your goals will become much easier once you have a clear strategy plan and the ways to fulfill it. Thanks to this process you´ll become aware of your strengths and weaknesses. Take a few minutes to sit down and brainstorm the upcoming month. I like using a trigger list to braindump all of my thoughts, sort of like creating a big master to-do list. Don´t worry about it being pretty or organized. You can even dedicate a separate notebook for this or a plain sheet of paper to write out everything and anything that comes up in your head (this can include tasks, notes, reminders, appointments, etc.). This is the moment when you shouldn't leave anything out, even the simplest thought like buying butter at the market or that your knee hurts should be written down. This exercise comes in great to make your brain feel a lot less heavy. So go ahead and schedule a few of these sessions if you need them. Personally I only do them once a month, but if I´m having one of those days where I feel like my head is going to explode from stress, working on a braindump always helps me out. Once you´ve relieved your brain of all those pestering to-dos and struggles, you should now have a clear head to really consider and identify what success will look like. I´m not talking about earning more money or getting a promotion at your job, I´m talking about thinking of that one thing that you really want to accomplish but have been putting off. This can be ANYTHING, from organizing your office space, to walking 40.000 steps in 30 days, to painting wall art, to reading 10 books, ANYTHING. What may seem like something silly to someone else can be a huge milestone for you. So think about what you want to focus during the month and write it down in BIG BOLD LETTERS. If your goal requires several steps, make a separate to-do list, or even create a mind-map about your mission. At this point grab your planner and open it to your monthly spread. Now you´re all set to start organizing and grouping all those thoughts, ideas and tasks you wrote out during your braindump. Batch similar tasks together, think about how much time each task will take, re-write them in order of importance, see if there are things you can delegate to someone else. Don´t forget about your month´s focus and how you´ll be accomplishing it. I find it easier to organize my to-do´s around what´s happening each month. For example, I have a future log at the beginning of my planner where I write out the holidays and events that are taking place (national festivities, birthdays, movie/book premieres, etc.). I schedule all those things first in my monthly calendar to get a general overview of the time I´ll have free and then distribute everything else around those events. The key is to PRIORITIZE what matters most. You don´t have to schedule every single to-do from your brain dump. I´m sure there are a ton of ideas that can be put on hold for next month´s pre-planning session, so don´t feel obligated to find a spot for everything. Though if you do that´s awesome and totally okay too. Woohoo! 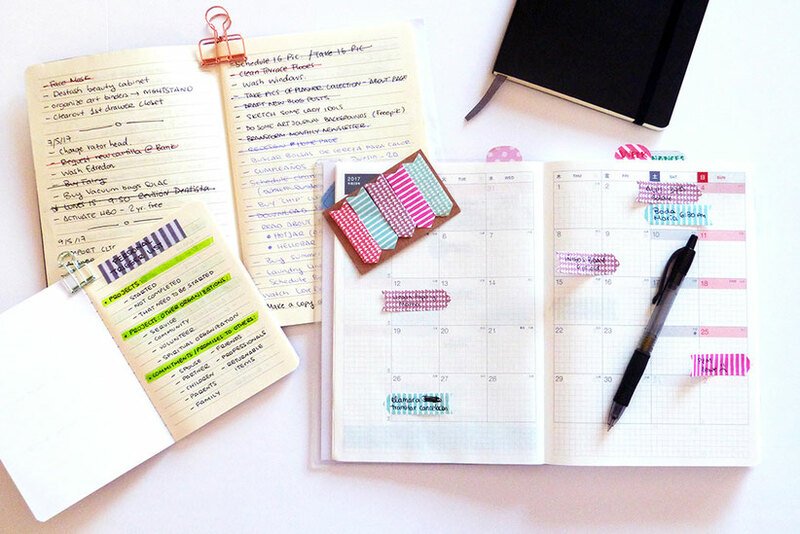 Now your month is ready to tackle and take action on all you've pre-planned. Get ready? Set? DO! DO! DO! As you can see the process is very very simple, and only requires you to create to-do lists and sort them out by order of importance, scheduling them on to your planner with a sticky note or pencil, in case you need to move it around later on. Having the basics in your planner is key so you know what´s happening. I can assure you that just the act of writing it all down will already work wonders for some of you (I know it does for me! ), your head will clear just a little bit and give you space for other things. 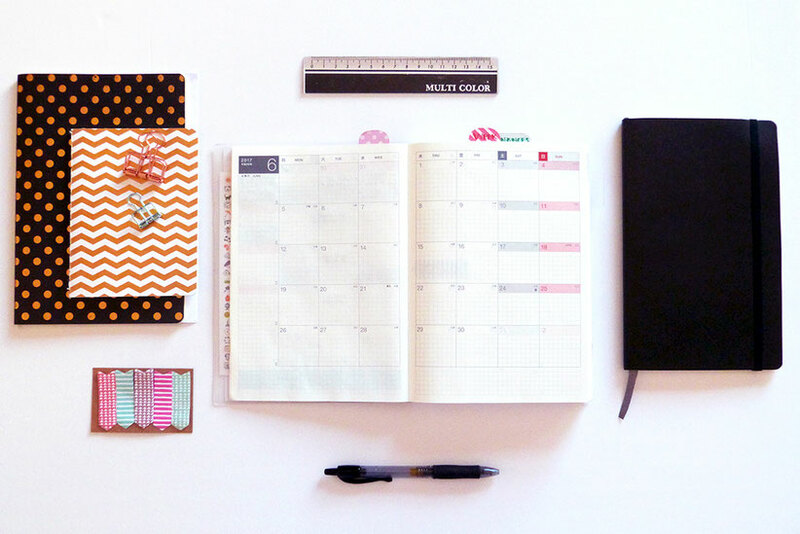 I´d love to hear how you all like to prepare your planners for a successful month, so please let me know your process in the comments below or if you found this post helpful and it inspired some new ideas to incorporate to your system. Let me know! Talk to you soon!